You can find fake products in almost every every nook and corner in Kuwait. I even found a small counter selling fake bags out in the open at the Gate Mall of all places! (post here). I however never expected a supermarket to sell fake items. I mean, cosmetics and other beauty related products are already quite cheaply priced at a grocery store and it would be the last place I'd expect anything less than original to be sold. 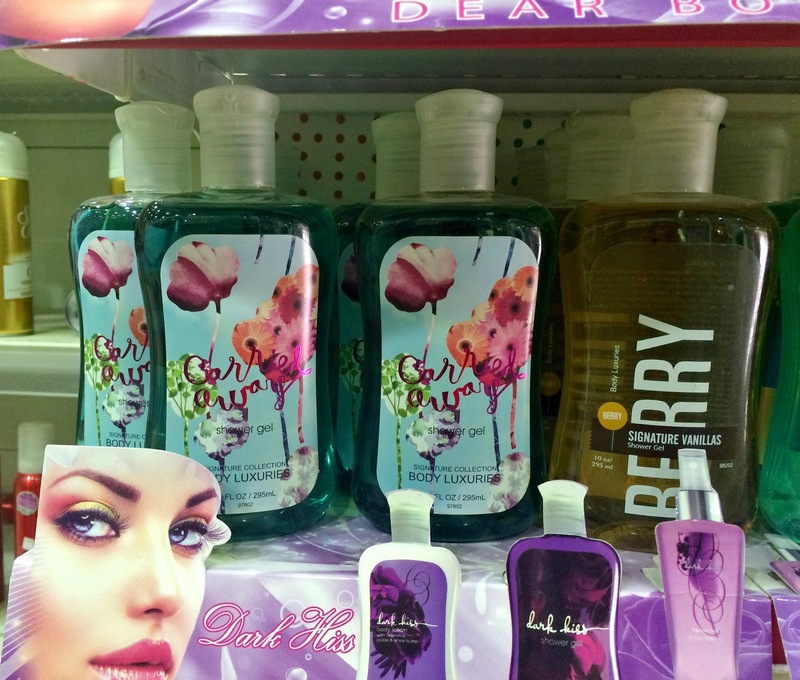 Whilst shopping at a co-operative, I came across these Bath & Body Works shower gels. At first glance they look genuine and the only reason I stopped to take a second look was because I was surprised to see the brand being sold there in the first place. 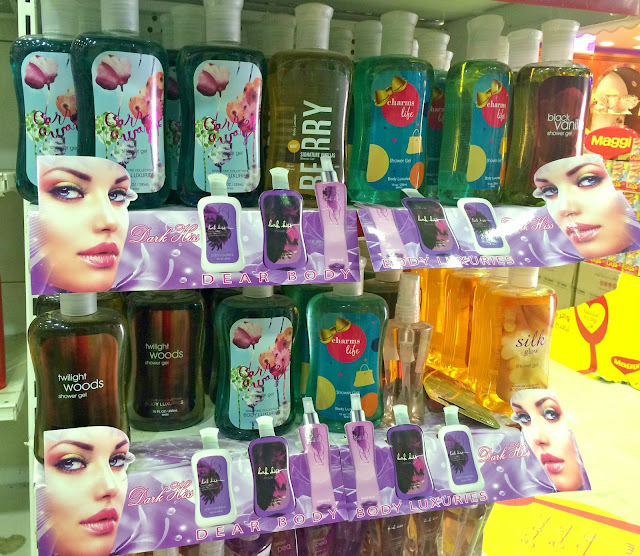 The packaging and labels are identical to Bath & Body Works and the same names and fonts are used for each product. The scents are almost spot on too, though I believe most of these are retired scents. The only giveaway is that the name Bath & Body Works has been swapped out to show Body Luxuries instead and I wonder just how many unsuspecting customers have been fooled. Seriously, you'd think a government owned co-operative society store would have regulations and more control over the products they sold!